"Finally! 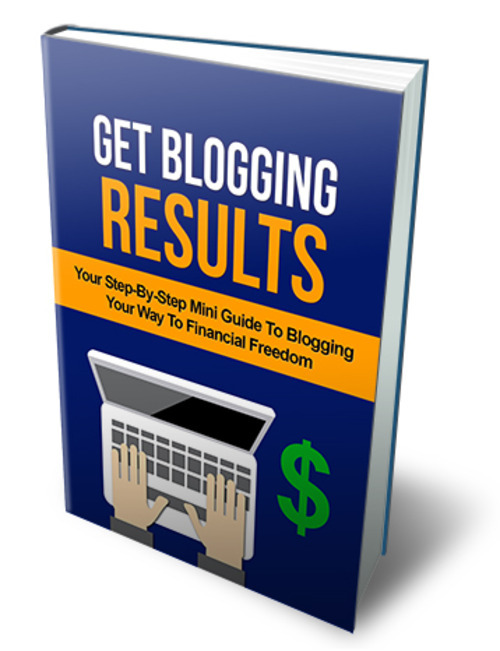 Discover The Secrets On How To Make Real Money From Blogging Using This Step-By-Step Guide..."
But anyone can make a blog, right? Making a profit out of it is another story! - Do you really know what you need to have a fully functional blog? - Are you lost in the sea of jargon and technical terms? - Are you wondering how you can break through the $100 daily online income via your blog? I felt the same confusion when I started my own blog years ago. Fortunately, my own experiences have been condensed in this program, so you wont have to go through the confusion and you wont have to go through the rigorous trial and error stage. - Anyone can learn. This was created for people from any skill level. - Getting a domain name and a hosting provider, for peanuts! [Yes] You may giveaway this ebook. [Yes] You may resell this product. Suggested retail price: $7-$20. [Yes] You may sell/pass resell rights/master resell right to this product. You do NOT have Private Label Rights. You may NOT sell or giveaway private label rights. You may NOT re-title or edit the contents of this product.